TORONTO, February 10, 2016—The Slaight Family Foundation announced today that it will donate $11 million to eleven Canadian child-focused NGOs to support the healthy development of children across Canada. 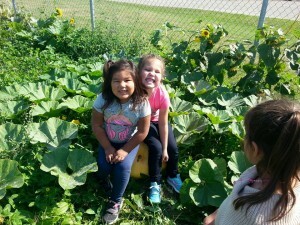 Building on more than 20 years working in Aboriginal communities in Canada, Canadian Feed The Children (CFTC) will receive $1 million over four years to establish a national First Nations food security program called Healthy Bodies, Healthy Minds, designed to reach 20 new First Nations communities by 2020. 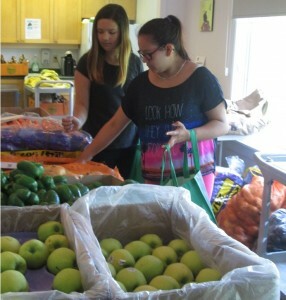 Fresh food boxes one of the success factors in strong First Nations community-led food security programs, like this one at Chippewas of Nawash Unceded First Nation. “CFTC has been working to improve children’s lives in First Nations communities through First Nations school nutrition and nutrition education programs that are critical to reduce childhood hunger. To achieve sustainable change, however, these programs need to expand in scope and impact. The time is right for that expansion. Rising community empowerment, the urgent drive for reconciliation, and new political will are coming together to change the landscape for fighting hunger among Canada’s most vulnerable children,” said Debra Kerby, CFTC’s President & CEO. With 40% of First Nations children still living in poverty, school nutrition programs continue to be essential to improve nutritional status, health, and educational outcomes among Canada’s poorest children. Healthy Bodies, Healthy Minds takes school feeding beyond the classroom and the school year with community-wide initiatives such as cooking classes, gardens, nutrition education programs, and food access programs. The Slaight Family Foundation grant is the largest private gift that CFTC has received to date. It will enable CFTC to work with existing and new First Nations partners and take proven, community-led approaches across Canada. Together with its First Nations partners, CFTC’s goal is to positively impact food security, nutritional status, and healthy eating behaviour for children, youth and families for the long term. School gardens in New Brunswick bring nutrition knowledge to kids through hands-on learning. “Our objective is to work hand-in-hand with engaged communities, elders and youth to support sustainable, culturally-appropriate food systems, and to set a new vision for how community-led food and nutrition programs can unleash the vast potential of First Nations communities for generations to come,” added Ms. Kerby. At the launch event on February 10th, Ms. Kerby joined the 10 other organizations receiving grants in expressing her admiration for The Slaight Family Foundation’s leadership and for believing in Canada’s youth and children.